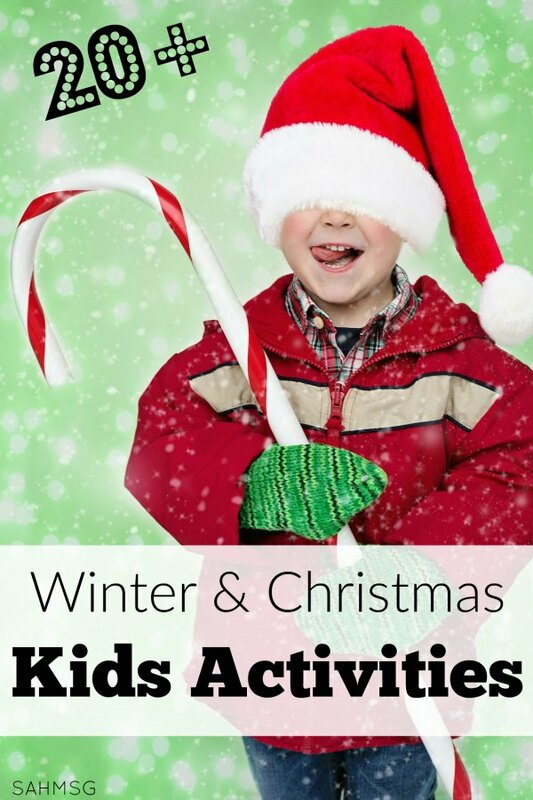 There are many Christmas Kids Activities that can be turned into Homemade Gift Ideas. I enjoy watching the kids complete art and craft projects that allow their creativity to show. 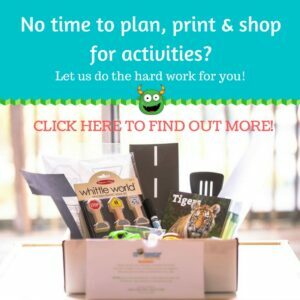 I put together a list of favorite Christmas kids activities and homemade gift ideas. 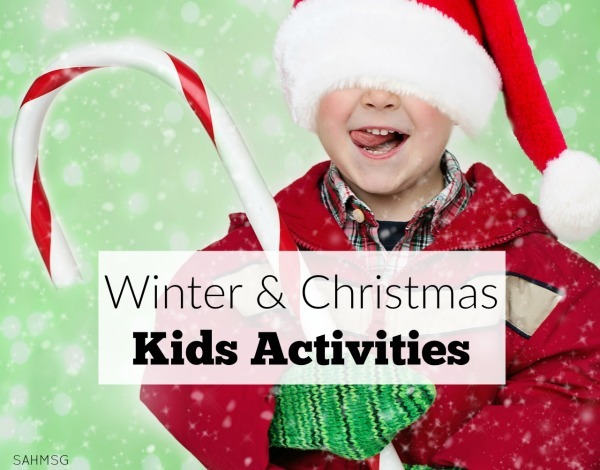 These winter activities for kids are great learning activities and many can be turned into homemade gifts. Best of all, they are simple. You can glue on a red bow after the paint has dried and frame it. Give it as a gift to family or keep it as a decoration in your own home. Include date and age! Another great option for home decor made by your child, or stamp a bunch of them to use as Christmas cards. Fold the paper in half, create the Santa print, write a note inside then send! Your child can also make a hand print using paint on paper, cut it out after it is dry, and decorate with glitter (while paint is still wet), or other craft materials. Add a red puff ball and face after the print is dry to create a ‘Rudolph’. Again, this would be a great option for homemade Christmas cards. Make a countdown chain out of strips of paper to count down to your respective holiday. Rip off one link each day to count the remaining days left until the ‘big day’! Put 25 candy pieces in a jar. Your child gets one each night starting December 1st as you countdown to Christmas. You could use this activity to count down to the new year too. Gather a basket or bag of pine cones on a trail walk or at the playground. Here are some ideas for playing with your pine cones. Arrange them from smallest to largest. Paint with them by dipping one side in paint and stamping or rolling them on paper. Make into bird feeders to hang outdoors: Spread peanut butter on the pine cone and roll it in bird seed. I first learned this combination from a teachers’ magazine. Mix one part shave cream (plain non-menthol shave cream) and one part white glue in a disposable bowl or paper plate using a craft stick or plastic spoon. When mixed, your child can scoop the mix onto construction paper and make a snow scene, or a snowman. For a snow scene activity that connects with the book The Snowy Day, cut out squares, rectangles and triangles to make paper buildings and houses. Glue the pieces on the paper to create a ‘city’ scene. Then your child can scoop the ‘snow’ onto the buildings, ground, etc. When the snow dries it feels soft and fomay. So fun! For a snowman, cut out small black circles for pieces of ‘coal’, and a long orange triangle as a ‘carrot’ nose, and thin brown strips for twig arms. Your child can scoop the ‘snow’ onto the paper creating three circles stacked in a row. Add the paper pieces to make a face and hat, arms and coal buttons. Whether your child tells you what they want to share with Santa, or your child writes a letter on their own, this is a fun way to teach writing skills and literacy. Help your child sign their name and mail it. Some post offices have a postmark for the ‘North Pole’, but letters have to be received by a certain date-based on availability. Your child can also receive a letter from Santa! You could get Santa to call your child too! Fold coffee filters in half and then quarters. Cut out notches and shapes. Unfold and tape to windows, or around the house. I use All Recipes and Food Network for most of my recipe searches. Add essential oils like orange, cinnamon, peppermint or Thieves blend to give it a festive scent. Use cookie cutters to cut out. Use a straw to punch a hole in the top of cutouts and let them dry. Just tie a ribbon through the hole and you have a homemade ornament gift to give. Gather books related to Christmas, and winter together in a basket to make them the center of attention over the holidays and cold months. If you live in a climate where snow is present, grab some and place it in a plastic container or a bowl. Bring it inside and allow your child to periodically check it as it melts. You can make a simple chart with the time and write if the snow is melted or not. Check it at intervals and keep a running list of each time you check. If you do not have snow in your area use an ice cube from the freezer. Place the cube in a cup or bowl and observe it every few minutes writing down the observations on a chart. Make a model of an iceberg using a cup of water and an ice cube. This model displays how the majority of the iceberg actually floats under the water. I used this model when I was teaching in a first grade classroom. I had my children each complete a finger painting at about 6 months old as a gift for the grandparents. They each painted on multiple sheets of paper so that I could frame them and hang one in our home as well. I made a little label and then glued it to the painting that stated: NAME, TITLE, DATE, AGE. This makes a cute little keepsake for you as well as a great gift idea for family! Additionally, I took pictures of each of my children completing their painting and printed them off in wallet size. I picked up a few acrylic wallet-size magnetic frames from a craft store. I included a magnet with my child completing their painting as part of the gift as well. We have one of each of the kids on our fridge at home too! Give to Toys for Tots, or clean out some of your used toys to donate to The Salvation Army or local thrift stores. Include your children in this process if they are old enough to not get too attached to toys as you are trying to give some away. Over time children will learn that giving is important when they see you modeling that activity. You could even sell the older toys that your child no longer plays with and talk about giving the money to a charity or church as you choose. Paint pottery (ornaments, plates, mugs, etc) at a local paint-your-own pottery store. Include date and age! Buy a patio stone kit from a craft store and let your child make a creation. Include date and age on the bottom. Decorate a wooden frame with paint, glitter or other craft materials and include a picture of your child. Bake cookies and give them as gifts. What are your favorite homemade ways to give gifts at Christmas?